We are a leading Manufacturer of pulverizers mill and laboratory pulverizer disc mill from Chennai, India. Pulverizers Mill is recommended for medium fine grinding of soft semi-hard materials. 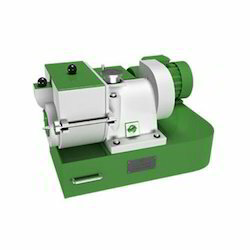 Appropriately sized mill chamber prevents the build-up of deposits and blocking of the machine by fatty & sticky products. Cool powdering operation retains vital properties like color, taste, flavor etc. Changeable grinding elements offer versatility to cater applications like pulverizing, wet grinding, mixing, dispersion, hot air drying etc. The centrally fed material gets powdered step by step between rotor and stator, moving radially outward for a bottom discharge through a sieve. Clearance, configuration & grinding element design determines results. 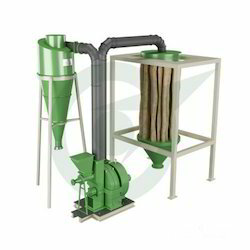 Used without cyclone and dust collector for bigger output particle size and for fine material, a cyclone with dust collector has used a Different type of material for liners and hammer as per client product for better result and best life of wear & tear. Star trace is one of the worlds leading manufacturer, supplier and exporter of Laboratory Pulverizer Disc Mill. Star Trace Pulverizer disc mill is used for grinding the material with any kind of hardness with fine particles in continuous or intermittenly. Star trace Pulverizer disc mill is especially suitable for sample preparation work in the laboratory of industrials of coal, electricity, non-ferrous metal, metallurgy, chemical, environment-friendly department, scientific research and so on. Rapid grinding by friction force. Full-sealed design and no dust pollution which meet environmental protection requirements. Low working noisy and easy for sample collecting. It can work normally on the flat ground without fixing any base. Looking for Pulverizer Mill ?